London ACM SIGGRAPH is a local non-profit, volunteer organization run and made up of local professionals. We host events for the Computer Graphics community in London, reach out to other communities and aim to promote contact and information exchange. If you would like to contribute, please consider becoming a member and/or volunteering for the London ACM SIGGRAPH chapter. Meet the team below. Born in England, Jessica is currently working as a Generalist TD at MPC Film. She began her career by graduating with a first class degree at the University of Hertfordshire, before moving into the 3D industry where she worked on projects based around 3D shorts/adverts, a Nickelodeon series and more recently a Netflix series at. Her main skills focus on Lighting, Rendering and Compositing, but with solid knowledge of other areas. 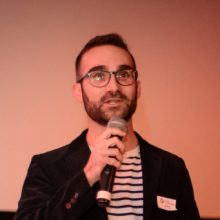 As Vice-Chair of the London ACM SIGGRAPH Chapter, Boyan oversees the activities of the chapter, and reaches out to potential partners, sponsors and event opportunities. 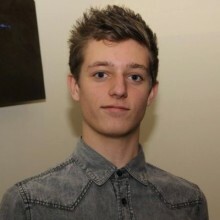 Born in Bulgaria, Boyan has graduated with First-Class Honours in 3D Animation from the University of Hertfordshire. 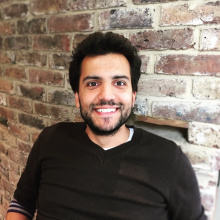 Boyan started at Blue-Zoo Animation as a Lighting and Compositing Artist on a children’s TV show for the BBC. 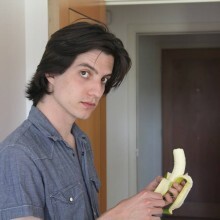 He now works at MPC Film. 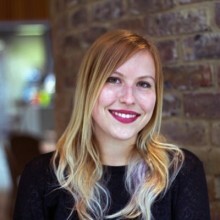 As Chair of the London ACM SIGGRAPH Chapter, Kate oversees the activities of the chapters, and reaches out to potential partners, sponsors and event opportunities. 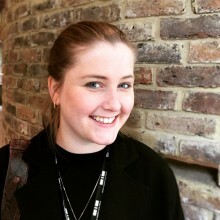 Kate had started her career in film and TV production in year 2011, she works as a 3D Artist with specialisation in Lighting and a Nuke Compositing. Kate has experience working on a full CG stereoscopic feature film, TV commercials and TV series. She was born in the Czech Republic, where she graduated with a Master of Art in Fine Arts. Kate additionally helps to organise an annual VFX conference in Prague. 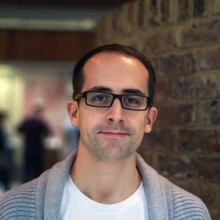 Professionally, Benoit works at Double Negative as a VFX Artist with a focus on animation. He has a passion for film making and creating audio-visual experiences. Benoit is originally from France and grew up in China, but is now based in London. Benoit was the instigator in founding the London chapter, and the original Chair. As the London ACM SIGGRAPH Chapter is Benoit’s baby in many ways, he will always have a soft spot for it and will forever help it grow, even if he has recently stepped back from leadership roles. Matt completed a foundation diploma in Animation at UCA Farnham before finding his penchant for the 2D side of things and furthered his studies at the University Of Hertfordshire, where he graduated from the Visual Effects for Film and Television Degree. 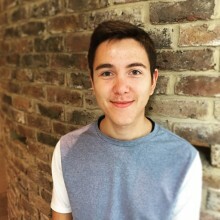 He has been freelancing at Happy Finish UK and Milk vfx, working on 2D, 360 and VR projects. Born in Portugal from Brazilian parents, Rodrigo first tried traditional hand-drawn animation when he was attending the Fine-Art University in Lisbon. He found his love for the craft and went on to study CG character animation at Animation Mentor. He has since worked as a Character & Creature Animator at Illumination Macguff, Framestore and has recently joined Industrial Light & Magic in London. Almu Redondo is a storyboard and concept artist from Spain. She has worked for VFX and animation in films, TV series and games for clients like Disney, LucasArts, The Weinstein Company, The Pokemon Company, Mercury or Universal. She is currently bringing life as a visual development artist and storyboard artist for Blue Zoo London, Lighthouse Studios Kilkenny, Flaunt Productions Glasgow, To Blink Studios Toronto and Cokoon games, with exciting Tv Series, short films and games to come! Fiona is one of the co-founders of the chapter, and a CG researcher with a passion for making digital things move, and researching new technologies to make digital things move. She initially trained in 3D at Escape Studios, followed by Animation Mentor. Fiona has practical experience throughout 3D pipeline, including experience as the supervising TD for an innovative immersive virtual environment system. Fiona has published research papers on virtual reality, and co-authored a book on Maya. She also holds a B.Sc. in Economics from the London School of Economics, plus a Computing B.Sc., and an M.Sc. in Multimedia and Virtual Environments from other institutions. 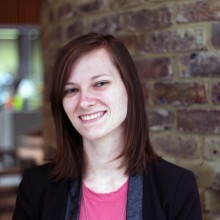 Fiona is currently a member of the Multimedia and Vision Research Group, Queen Mary University of London. Sullivan is one of the co-founders and original Treasurer of the chapter from 2014-2016. He works as a Digital Matte Painter and Environment Artist at Oscar winning Double Negative VFX. Sullivan has been involved in the production of many high profile feature films, such as Interstellar, Terminator Genisys, The Hunger Games: Mockingjay Part 2 and more. Thank you to the following wonderful people who have helped the London ACM SIGGRAPH Chapter before moving onto new things! If you are interested in helping out as a volunteer Board Member, let us know via our multiple channels or at an event! Ellen’s expertise is in 3D animation, with a passion for character animation, acting and performance, along with a strong technical engineering background, and project management skills. 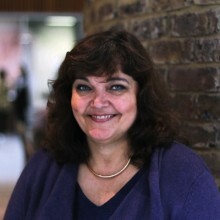 Ellen began her professional career in Siemens producing technical animations. 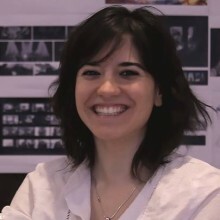 She later moved into Character Animation at Tinyisland Productions, where she eventually became an Animation Supervisor and Head of Department for Animation. Ellen has a Bachelor’s Degree in Engineering, and Masters in Multimedia Design and Digital Media, along with a certificate in Advanced Character Animation from Animation Mentor. She also has extensive experience training and mentoring animation students, and professional animation teams during production. Sonja is one of the co-founders, and former secretary (2014-2016) of the chapter. In addition to regular chapter administration tasks, she also designed the majority of the chapter’s event posters during her time as secretary. Professionally Sonja works as a Motion Graphics Designer with a focus on title design, flat graphic animation, and has a passion for branding. 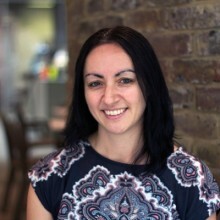 Her previous experience spans across various fields within the computer graphics industry such as games development, layout design and web development. Sonja is originally from Slovakia and grew up in Germany. Sonja’s career has now taken her to Munich where she continues her activities in the Munich ACM SIGGRAPH Chapter. Sonja also keeps in regular contact to help out the London ACM SIGGRAPH Chapter when possible. Sean is one of the co-founders of the chapter. 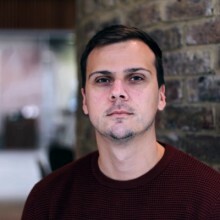 With over 6 years industry experience in both TV & Film, Sean has worked in various positions such as Matchmove/Layout, Motion Capture and Effects Technical Director. His main interests include Effects, Motion Graphics and technologies that present art in a new and exciting way like VR and Projection Mapping. Sean has now moved onto projects out of the country, but we hope he will return to us again one day. Francois-Maxence (known as FM), was one of our earliest Board Members (2014-2015), and was instrumental in establishing the chapter. FM organised several of our initial events. These events helped to solidify us as a professional group capable of hosting high-profile events of interest to a wide-range of industry professionals. FM has moved on to projects in other places, but is welcome back any time!